Astrophysicists speculate that the early Universe was powered by dark matter annihilation. According to modern cosmologists, the Universe is composed primarily of dark matter. More than 95% of all that exists is unseen and undetectable by the most sensitive instruments yet devised. Researchers from the University of Michigan have recently taken this idea to its extremes, claiming that the earliest stellar formations were (and perhaps still are) driven by Weakly Interacting Massive Particles (WIMPS) instead of thermonuclear fusion reactions. Consensus hypotheses about age and distance allow astronomers to propose many ideas that are built on the aforementioned assumptions, one of which is that the first stars formed soon after the Big Bang and subsequent expansion of the Universe. The Big Bang Universe is 13.7 billion years old, so the first stars are no longer around. 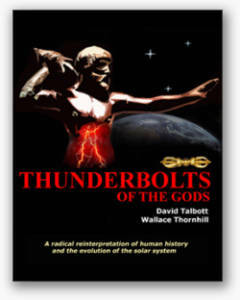 However, there is sufficient confidence in the theory that computer simulations can be written and models of what took place in that primordial era can be studied. The galaxy cluster image at the top of the page is said to represent a time almost nine billion years ago, since redshift calculations place its central structure approximately nine billion light-years from Earth. It is so remote in space and time that it can be placed at a period when the first stars were in their maturity. As the majority of astrophysicists maintain, that means it coalesced out of many sub-clusters when the Universe was dominated by cold dark matter. Dr. Naoki Yoshida, Nagoya University in Japan and Dr. Lars Hernquist at the Harvard-Smithsonian Center for Astrophysics in Cambridge, Massachusetts, created a program that simulates "what they know" about the early Universe in order to study those conditions. Their simulations revealed that gravity created small variations in materials that were then extant, including dark matter, causing it to condense into "proto-stars" that slowly accumulated additional matter until they became large enough for dark matter interactions to generate enough heat and initiate radiant output. Volker Bromm, Assistant Professor of Astronomy at the University of Texas, Austin puts it this way: "We must continue our studies in this area to understand how the initially tiny protostar grows, layer by layer, to eventually form a massive star. 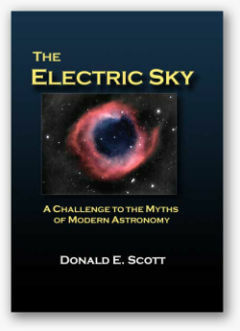 But here, the physics become much more complicated and even more computational resources are needed." A recent article in Physical Review D puts a more ironic stamp on this bizarre line of "reasoning." 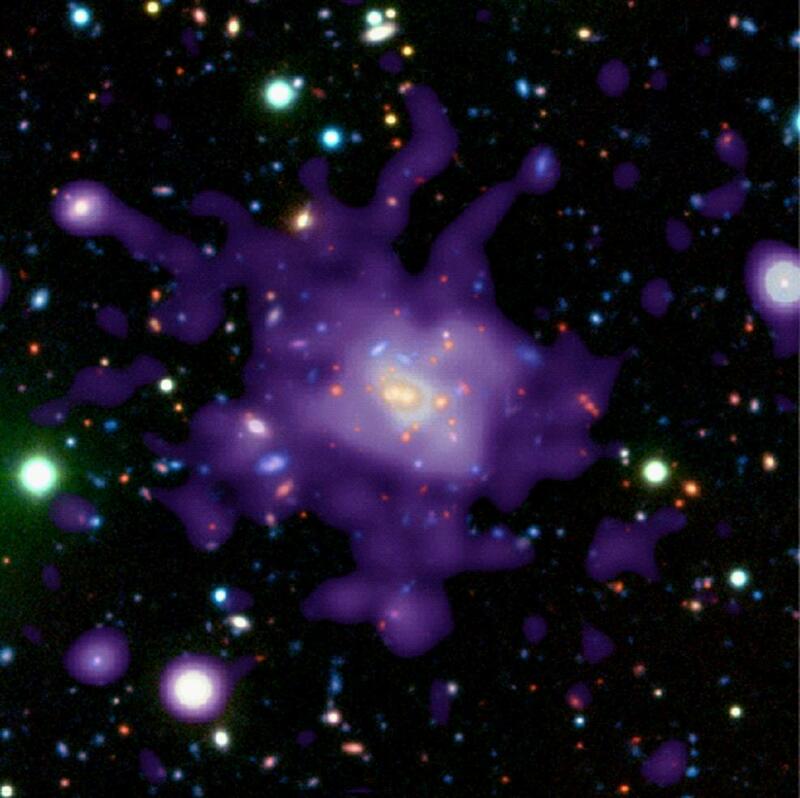 Scientists from the Institute for Advanced Studies, the Center for Cosmology and Particle Physics, and Harvard University present a theory that includes dark matter annihilation products, a new force carrier, a way for dark matter to disintegrate into electrons and positrons, and a way to account for the ionization observed in deep space. It is these concepts that prop up the current scientific pronouncements about "dark stars" that shine from dark matter annihilation, as well as the computer simulations that are supposed to be "confirming" the environment in which those so-called dark stars can exist. As physicist and Electric Universe theorist Wal Thornhill recently reiterated: "I suggest we stop wasting tens of billions of dollars searching for new particles and forces invented by mathematicians chasing fame and a Nobel Prize and spend one percent of that sum investigating the dense plasma focus. Science used to be about simplification. 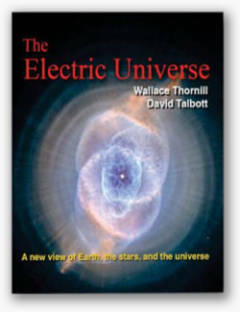 It is the way of the Electric Universe. It is the way out of science's black hole."